Josh Clark has flown and taught in Cirrus aircraft since he began flying in 2003. Josh is a Western Michigan University graduate, currently working on obtaining his Master's Degree in Aviation Management. He has logged over 6000 flight hours, with type ratings in various aircraft, including Gulfstream (G5 and G550), Piaggio (Avanti I and II), and Pilatus PC-12 NG. His instructor ratings include CFI (Certified Flight Instructor), CFII (Certified Flight Instructor- Instrument), and CSIP (Cirrus Standardized Instructor Pilot). Josh knew at a young age that he would grow up to become a pilot. His passion for flying grew as he worked odd jobs for Volkswagen's Aviation Department during high school and college. The strong connections that he made there led him to some of the most desirable jobs in the industry, including flying for Dow Corning and Amway Corporation. Josh’s flight and management experience is unmatched. He has flown Cirrus', turbo props and Gulfstreams for large private aviation departments. Most notably, Josh was the Chief Pilot of a private charter company based out of Jakarta, Indonesia, overseeing roughly 70 aircraft. Flying aircraft throughout Southeast Asia is not an easy task. It's the aviation equivalent of the Wild, Wild West! Before returning to the USA, Josh accepted an opportunity to work with the Royal Flying Doctors of Australia, flying in and out of the outback. Offering aid to people in need ranked this position as the most rewarding of all. After spending three years abroad, Josh and his wife, Valerie, moved back to the USA to have children and be surrounded with family. He enjoys anything athletic, including baseball, golf, water sports and snowboarding. He loves traveling, discovering new flavors of the world, and most importantly, playing dress up with his four young daughters! Valerie Clark has always been a traveler. She took her first job in high school specifically to fund trips around the world. She attended Western Michigan University, where she met Josh, on a full Cultural Diversity Scholarship Award. Valerie studied abroad in Spain and graduated with a degree in Secondary Education and Spanish/English majors. She taught in Metro Detroit, abroad and online, until she and Josh began having children. Throughout their global tours, Valerie has worked various air shows, arranging press, set up and marketing. She aided in the launch of a new training center in Indonesia, scheduled crew and passengers on regular flights, and organized special client events. 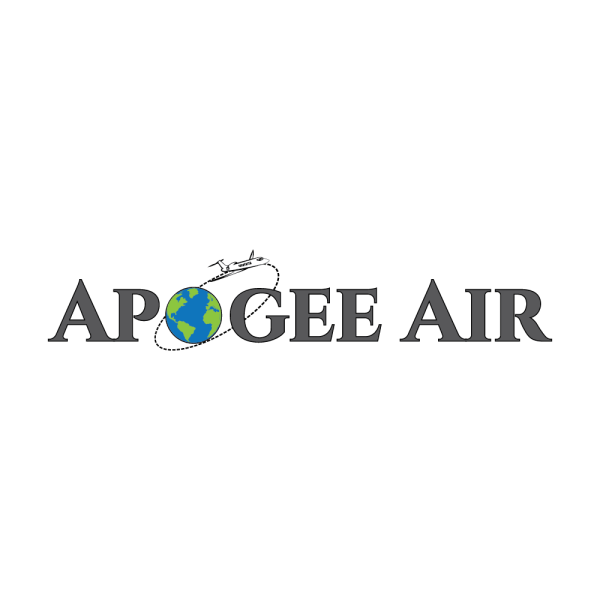 Valerie handles all of the administrative tasks at Apogee Air, including billing, marketing, scheduling, and the like. She works mostly from home while the girls play around her. Valerie is a social butterfly who loves to play games and host parties! These days, all that she hosts are tea parties with her daughters, but they are parties nonetheless! She feels very blessed to be back in Troy, where she grew up, near her family and friends.